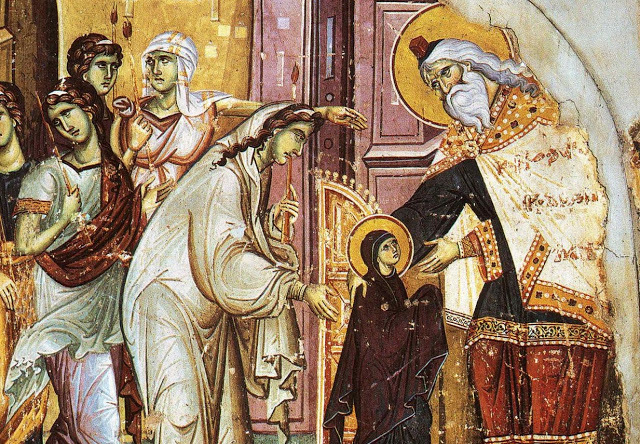 Today we celebrate a double Church feast, the Circumcision of our Lord Jesus Christ, and memory of St. Basil the Great. In addition, if we lived according to the Old Calendar in our secular life, today we would have the New Year’s Day. 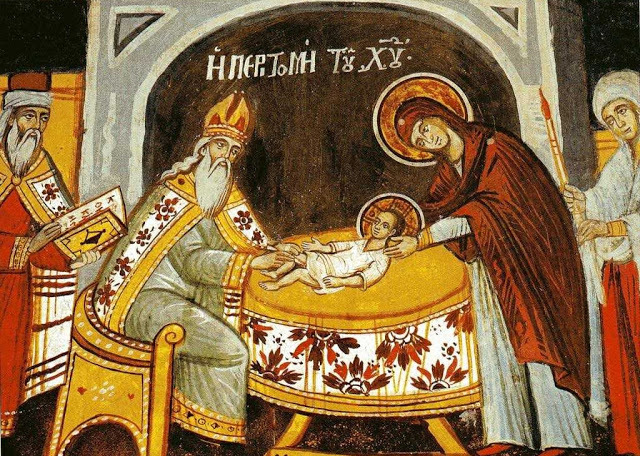 Circumcision of Child Jesus was performed according to the Law of Moses. That law followed by the Jews, by the Church of the Old Testament, provided that each baby boy had to be circumcised on the eighth day after his birth. This was the sign of the covenant between God and His chosen people. Thus, Jesus was no exception. He had to undergo that procedure. He had to receive that sign of the covenant. But many today’s Christians tend to wonder why we celebrate that event as a feast. Certainly, there are reasons for that. One of the main reasons is that our Savior had to follow all the laws given by God to His people in order to be a true Man and then to be able to redeem us. But there are a number of other thoughts about that. Let us, for instance, refer to the interpretation given by holy Father Andrew of Crete. He wrote that the eighth day is the completion of the week, and the beginning of the new. He noted that a child completes the week of his life, and is perfected on the eighth day, being granted a name. Jesus was given His name meaning “God who saves” and also being numbered with the perfect. The eighth day is the beginning of infancy, while through the period of the week Jesus was a baby, now the child begins to learn. The eighth day leads on to the things of infancy: to crawl and to stand, and to speak, and to think. The week comes to completion, and the eighth day signifies perfection. Circumcision again signifies the name-giving, which the child undergoes on the eighth day. St. Andrew of Crete further reasons that Circumcision is not without reason. For Abraham of old, whom God commanded to have the first circumcision, dwelt among the idols of his father, being part of his creation, until the true Creator gave him a sign of a people set aside until His coming. So this was a sign of a future renewal that may be granted to men. Circumcision removes a covering of flesh, and grants an eighth-day sign to the members. Circumcision declared that the presence of Christ was coming, and that He would grant rebirth through the Spirit. By the seal of circumcision, the people were granted divine correction from idolatry, and the ceasing of destruction through the worship to the idols. The former things were a symbol of the new. The rules of the Old Testament were images of the New Testament precepts. St. Andrew also notes that Jesus Christ was the eighth Law-giver from Adam. Because Adam first received a law, and secondly Noah, and Abraham third, and Moses fourth, and David, regarding the Kingdom and the Tent of Glory, was the fifth law-giver. And Ezra, following the captivity of Babylon, for a second time gave the law to the nations that had transgressed it, and was the sixth. John the Baptist, who preached a baptism of repentance to the people, and purification through the water, was the seventh law-giver. Jesus Christ was the eighth. Therefore, dear brothers and sisters, let us adhere to the precepts of the New Testament Church which cherished the reverence towards this feast of the Lord’s Circumcision. There are reasons for the Church to do so. Today we touched only some of them. Dear brothers and sisters! Let us also follow the laws of our Church, the Church of the New Testament of Jesus Christ. Let us adhere to her holy traditions and not miss them in our lives. 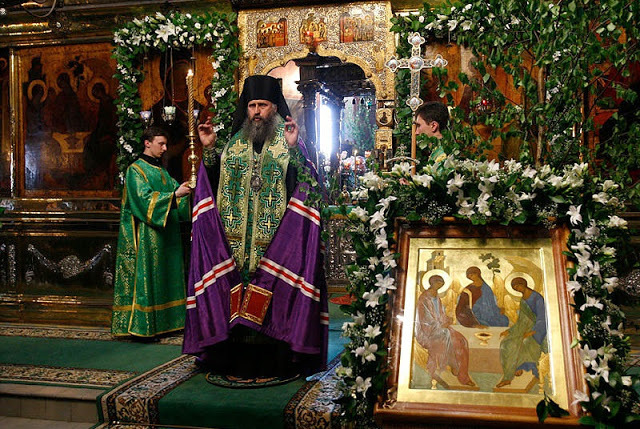 Let us imitate our Holy Father Basil in his zeal and righteousness, so we may be blessed by the Child Jesus who was born for us and who had to undergo Circumcision on the eighth day to fulfill the law for us, to redeem and save us!